We are thrilled to announce that the Generation Green Energy Performance activation that we orchestrated for our client British Gas has been shortlisted. The campain sees itself shortlisted in two categories in the 2014’s FMBE Awards. 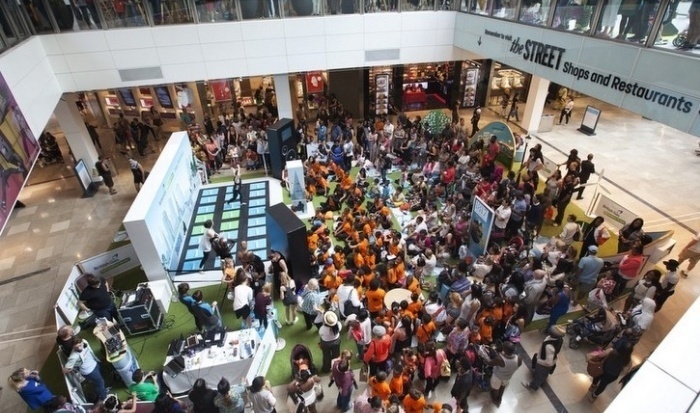 In June this year, we were tasked by British Gas to enhance its Generation Green initiative, an energy-saving education programme for primary school children.To do this we designed and produced a four-day dance-themed brand experience at Westfield Shopping Centre that championed British Gas’ commitment to energy education. This impressive campaign has landed us in the FMBE Award’s shortlist for both Most Immersive Brand Event (by invitation) and Most Effective Roadshow or shopping centre campaign. Congratulations to all members of the Because team who worked on this great campaign!